Using Multimedia in E-Learning, a New Role for Teachers? 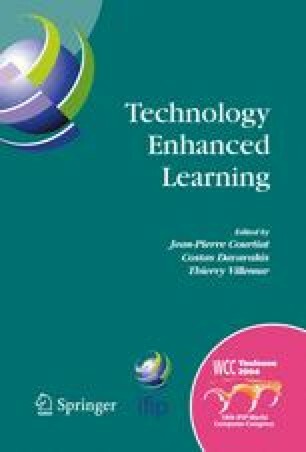 This document presents a general overview of a new role proposed for teachers who are in contact with the information and communication technologies for distance courses content creation: the teacher-developer role. To acquire this profile, we are developing at the Laboratoire Paragraphe (Universit_Paris 8, France) and the Tecnológico de Monterrey Campus Toluca (Mexico) a software tool called HyperTectol that introduces guides and promote in the faculty the use of multimedia elements for the Learning Objects design and creation.